Earn 1.5 AMA PRA Category 1 Credit(s)™ while learning more about advocacy, legislative, and regulatory efforts on Addiction Medicine policy at the state and federal level from this conference recording from The ASAM 49th Annual Conference (2018). (1.5 CME) In this conference recording from the 2018 Annual Conference, you will learn that with the opioid misuse and overdose epidemic continuing to progress across the country, federal and state governments alike are swiftly passing legislation and implementing regulations to address opioid prescribing, access to treatment, parity, and other issues that impact the addiction medicine field. Since the beginning of 2017, the American Society of Addiction Medicine (ASAM) has dedicated resources to assisting our state chapters with responding to or leading these legislative and regulatory efforts at the state level. From submitting letters of support for and opposition to legislation, commenting on regulations and Governor initiatives, or testifying at committee hearings and agency meetings, ASAM members have been taking advantage of the opportunity to be a part of the discussion. Several states have been more aggressive in addressing this issue than others and the ASAM chapters in those states have interacted with state legislators and agency officials more frequently this past year. Thus, these chapters have insight into how these processes and interactions work that can benefit other chapter officers and members. describe the overall successes experienced and improvements that are needed in advocacy at the state level. The workshop will close with a question-and-answer session that allows members in the audience to ask these chapter presidents for guidance and advice on how they and their chapters can be more engaged around state legislation and regulations on addiction medicine. This is an opportunity for members to learn, first-hand, the best approaches to advocate for policy change that helps patients and provides addiction specialists the discretion to do their job in order to provide the highest quality treatment. Brad Bachman is the Manager of State Government Relations for the American Society of Addiction Medicine (ASAM). Prior to joining ASAM, he was a legislative aide in the Maryland Senate and worked on several state and federal campaigns. At the beginning of his time at ASAM, Brad assisted the Director of Advocacy and Government Relations with tracking and responding to federal legislative and regulatory activity regarding the opioid epidemic, particularly the passage of the Comprehensive Addiction and Recovery Act and the lifting of the buprenorphine patient limit to 275. Since the beginning of this year, he has taken over the expanded advocacy focus of ASAM to include legislative and regulatory responses to the epidemic at the state level. Working in tandem with ASAM state chapters, state medical associations, and other stakeholders, he is helping to ensure that any state law or regulation affecting the practice of addiction medicine or access to addiction treatment is guided by evidence and science. Brad received his bachelor degree in history and political science at The Colorado College. Cara Poland, MD, M.Ed, FACP, FASAM was trained in internal medicine at St. Joseph Mercy Hospital in Ann Arbor, Michigan and in addiction medicine at Boston Medical Center in Boston, Massachusetts. She has an interest in educating physicians and physicians-in-training to improve care for patients with substance use disorders and alcohol use disorders. She is interested in medical student curriculum development and assessment, student well-being and identifying ways to improve the process of medical training. She is professionally active in multiple societies including acting as the current President of the Michigan Society of Addiction Medicine. She is currently the medical director of a program for treatment of pregnant women with substance use disorders, has a general addiction practice. She is an assistant professor at Michigan State University where she acts as a Learning Society Chief. Michael F. Bierer MD MPH has been at Massachusetts General Hospital (MGH) for 30+ years. He holds the ranks of Physician there and Assistant Professor of Medicine at Harvard Medical School. He completed his MD at Albert Einstein College of Medicine in Bronx NY in 1985 and his MPH at Harvard School of Public Health in Boston MA in 1989. He completed his Internal Medicine Residency at MGH in 1988 and participated in the Addiction Medicine Fellowship in the Department of Psychiatry at Boston University Medical Center in 2001. He ran the component of Boston Health Care for the Homeless Program based at MGH from 1989-2001, has been providing integrated care for addictions in a hospital-based primary care practice since 2002, and has been a leader in the education of medical housestaff at MGH about drug and alcohol problems. He is part of the new Substance Use Disorders Iinitiative at the hospital. He is former Secretary of MASAM and serves currently as President. He is one of the podcast voices for the New England Journal of Medicine. Dr. Jorrisch earned an undergraduate degree in Biology from Union College, Schenectady, New York in 1973. He went on to finish Medical School at Emory University in Atlanta, Georgia in 1977 and completed his residency in internal medicine at the University of Virginia in 1980. Dr. Jorrisch has had a private practice in internal medicine since 1980 in Louisville, Kentucky and currently has an Addiction Medicine practice with specialization in OAT, including methadone and buprenorphine. Earn 1.5 AMA PRA Category 1 Credit(s)™ while learning how to bring science into your clinical practice, from this conference recording from The ASAM 49th Annual Conference (2018). This session was made available free of charge by an unrestricted educational grant from Wolters Kluwer until 5/16/19. (1.5 CME) In this conference recording from the 2018 Annual Conference, you will learn about more about an over-arching ASAM Annual Conference goal: To bring science into clinical practice. It also addresses presenting new scientific research, best practices, and interactive teaching methods. Journal of Addiction Medicine editors will facilitate large and small group discussions to impart skills of critical appraisal of addiction medicine research studies. The main goal of the session is for participants to be able to assess the validity and applicability of published research studies in order to decide when to apply findings in clinical practice. We will accomplish this goal by critically appraising literature using a standard framework supported by worksheets, in large and small group learning formats. Critical appraisal involves beginning with a clinical question or scenario, assessing whether reported study methods support validity to address the question (specific to whether the question is about treatment, diagnosis or prognosis), noting the results and their precision, and assessing the applicability of the study results to clinical practice. We will do this with one or more examples of recent articles in the literature. Small groups will be facilitated by faculty as participants use worksheets to apply the principles to specific articles. Small groups will report out to the larger group to discuss conclusions. Richard Saitz MD, MPH, FACP, DFASAM is a general internist (DABIM) and primary care physician, an addiction medicine specialist (DABAM), Chair and Professor of Community Health Sciences at Boston University (BU) School of Public Health, and Professor of Medicine at BU School of Medicine. He Chaired the Treatment and Services review committee for the National Institute on Alcohol Abuse and Alcoholism, is Associate Editor of JAMA and Senior Editor of Journal of Addiction Medicine, Section Editor and sole author of key chapters in UpToDate on unhealthy substance use, an editor of the ASAM Principles of Addiction Medicine, and author of >200 peer-reviewed publications http://profiles.bu.edu/display/151440 http://www.bu.edu/sph/profile/richard-saitz/ He was Director of Boston Medical Center’s Clinical Addiction Research and Education (CARE) Unit for over a decade, has been Chairman of an Institutional Review Board, Associate Director of Clinical Research for BU, President of the Association for Medical Education and Research in Substance Abuse (AMERSA), steering committee member of the Motivational Interviewing Network of Trainers (MINT), and was coordinating committee member of International Network for Brief Intervention for Alcohol and other drug problems (INEBRIA). He is Vice President of the International Society of Addiction Journal Editors (ISAJE). His primary areas of expertise supported by NIH, RWJF, and SAMHSA, are screening and brief intervention, integrating substance-related and general health care, improving the quality of care for people with unhealthy substance use, particularly in general health settings, and basing care on science. He validated single-item screening questions recommended by NIDA and NIAAA. Awards: Alpha Omega Alpha Honor Society, Boston Jaycees Ten Outstanding Young Leaders Award, Best Doctors in America®, AMERSA’s W. Anderson Spickard, Jr. Excellence in Mentorship Award, the R. Brinkley Smithers Distinguished Scientist Award (ASAM), Research Society on Alcoholism Distinguished Researcher Award. Frank Vocci, PhD, President and Senior Research Scientist, Friends Research Institute, Baltimore, MD. Following a post-doctoral fellowship in addiction pharmacology at the Medical College of Virginia, Dr. Frank Vocci spent 11 years at the FDA, rising to the level of Chief of the Drug Abuse Staff. At the FDA, he reviewed applications for marketing of medications for analgesic medications and for the treatment of substance abuse disorders. He also participated in domestic and international drug control issues. In 1989, he joined the Medications Development Program at the National Institute on Drug Abuse. He became the Director of the Division of Pharmacotherapies and Medical Consequences of Drug Abuse (DPMC) in 1997 where he was responsible for overseeing research and development activities in medications development for the treatment of addictive disorders. He was also responsible for biomedical research in the medical consequences of drug abuse, primarily AIDS and hepatitis C research. During his tenure, the DPMC collaborated on the development of four addiction drug products that were approved by the FDA. Dr. Vocci has published over 100 articles in neuropharmacology and the treatment of substance abuse and its consequences. In 2001, he received a Meritorious Executive award from President Bush for his management of the NIDA medications development program. Dr. Vocci also received a Distinguished Service Award in 2003 from the College on Problems of Drug Dependence for his contributions to the development of buprenorphine as a treatment for opiate dependence. In 2006 Dr. Vocci received the Vernelle Fox award from the California Society of Addiction Medicine and the FeDerSerD (Italian Addiction Society) award. Dr. Vocci has been a co-editor of the Journal of Addiction Medicine since 2012 and is a past-president of the College on Problems of Drug Dependence. Martha J Wunsch, MD, FAAP , DFASAM is an addiction specialist with The Permanente Medical Group in Northern California. She is the Program Director for the Kaiser Addiction Medicine Fellowship and Medical Director of the San Leandro Hospital Addiction Medicine Consultation and Liaiason Service. Marty earned a medical degree at Uniformed Services University of the Health Sciences in Bethesda, Maryland, completed a pediatric internship and residency at Children’s Hospital Los Angeles (1983-1986), and practiced general pediatrics in the Indian Health Service in Arizona. Dr. Wunsch was the Hoff Addiction Medicine Fellow at Medical College of Virginia/Virginia Commonwealth University (2000-2002). She is a distinguished fellow of the American Society of Addiction Medicine and a founding co-editor of the Journal of Addiction Medicine. Dr. Wunsch is a founding director of the American Board of Addiction and the President Elect of The Addiction Medicine Foundation. Howard B. Moss, M.D. is Clinical Professor of Psychiatry and Neurosciences at the University of California at Riverside, and Co-Editor of the Journal of Addiction Medicine. He is a board-certified psychiatrist with added qualifications in the subspecialty of Addiction Psychiatry, and is the former Associate Director for Clinical and Translational Research at the National Institute on Alcohol Abuse and Alcoholism of the National Institutes of Health in Bethesda, Maryland. He has authored over 165 peer-reviewed scientific journal publications and three books. He has been Professor of Psychiatry at University of Pennsylvania, Temple University, and the University of Pittsburgh prior to assuming his role at N.I.H., and has held a Senior Scientist Award from National Institute on Drug Abuse. His research has focused on the clinical manifestations of substance use disorders, their etiology, and the intergenerational transmission of risk and resilience. This work has employed diverse methodologies that include psychiatric epidemiology, advanced statistical methods, neurochemistry/neuropharmacology, psychophysiology, biomarker development, neuroimaging, and molecular and behavioral genetics. Earn 1.5 AMA PRA Category 1 Credit(s)™ while learning about different models of office-based opioid treatment, from this conference recording from The ASAM 49th Annual Conference (2018). (1.5 CME) In this conference recording from the 2018 Annual Conference, you will learn about how the growing opioid epidemic has appropriately led to calls for primary care providers to offer medication assisted treatment in office-based settings. Federal and state funding opportunities have allowed Federally Qualified Health Centers (FQHCs) - safety net community health centers- to be able to introduce or expand existing MAT services. However, many FQHC systems are new to addiction medicine and to MAT, and few have the opportunity to meet with individuals from other systems to discuss challenges and potential solutions in developing an effective evidence-based program. This session will allow for health providers from FQHCs around the country to come together to learn from each other and from the presenters/facilitators. The session organizers will open the session by discussing different models of office based opioid treatment. They will also describe the challenges they see many health systems struggle with when initiating a new office-based MAT program and describe solutions that they’ve seen effectively executed. The second half of the session will be spent in small groups that will discuss challenges in implementing and integrated MAT into existing FQHC programming. Group members will work together to share their own experiences and discuss potential solutions. The session organizers have relevant experiences that position them well to lead this workshop. Dr. Rachel King serves as the Medical Director of Project ECHO at Boston Medical Center, which leverages technology to educate FQHC primary care teams around the country about addiction treatment. She has also created and implemented a successful integrated MAT program at DotHouse Health, a Boston-area FQHC and collaborates with the Massachusetts League of Community Health Centers to provide TA to health centers who are in the process of establishing or enhancing MAT programs. Dr. Elizabeth Salisbury-Afshar developed the Chicago MAT Learning Collaborative, which brings ten Chicago-based FQHCs together to learn from one another and share best practices. Elizabeth also created and implemented an integrated MAT program at Heartland Health Outreach, a Chicago FQHC that serves people experiencing homelessness and living with HIV. Elizabeth Salisbury-Afshar, MD, MPH serves as the Medical Director of Behavioral Health for the Chicago Department of Public Health and is an Assistant Professor in the Departments of Family Medicine and Psychiatry, Section of Population and Behavioral Health, at Rush University Medical Center. She is certified in family medicine, addiction medicine and preventive medicine/general public health. Elizabeth previously served as Medical Director of Behavioral Health Systems Baltimore- a quasi-public entity that oversees all publicly funded addiction and mental health treatment in Baltimore City. In this role, she helped develop and implement the Baltimore City Overdose Prevention Plan. Elizabeth came back to Chicago in 2014 and served as Medical Director of Heartland Health Outreach (HHO), a federally qualified health center and healthcare for the homeless provider (330H) in Chicago. While at HHO, she expanded their addiction treatment services and developed a medication assisted treatment program. Elizabeth has been working with the Chicago Department of Public Health since September of 2016 and continues to volunteer seeing patients in the medication assisted treatment program at HHO. In her role with the City Health Department, she guides the Department's work in the area of substance use as it relates to data analysis, policy, programming initiatives, and funding allocation. Rachel King, MD serves as the Medical Director of Opioid Addiction Treatment Project ECHO at Boston Medical Center, which leverages technology to educate primary care teams around the country about addiction treatment. She also is a primary care physician and the medical director of the OBAT (office based addiction treatment) program at DotHouse Health, a community health center affiliated with Boston Medical Center. Earn 1.5 AMA PRA Category 1 Credit(s)™ while learning how to to improve clinical outcomes within treatment systems in which patients with addiction involving opioids receive care, from this conference recording from The ASAM 49th Annual Conference (2018). (1.5 CME) In this conference recording from the 2018 Annual Conference, you will enhance your ability to play an active role in improving clinical outcomes within treatment systems in which patients with addictions involving opioids receive care. This is important because evidence-based approaches on municipal, state, and national levels are often not provided in a reliable manner. The speakers, expert in their respective areas, will provide data-based descriptions of specific community-based opioid treatment systems, the problems inherent in their effective operation, and options for improving access to effective care. These talks will be followed by a panel discussion and exchange with the audience to help participants apply this in their own professional work. Dr. Olsen will review data related to a 66% increase in opioid-related overdose fatalities in Maryland. This State has long had a history of innovative approaches to substance use disorders, including changes in Medicaid financing structures and support of peer recovery coaches. She will describe state level policy efforts to expand access and quality of treatment, along with recovery support services, across the continuum of specialty addiction treatment, and in hospital emergency departments. Nearly 40% of the population of Los Angeles County is enrolled in California’s MediCal program. Over 400,000 of the county’s residents have a substance use disorder, but only 45,000 currently receive specialty addiction treatment, and only a small portion of them are retained on buprenorphine maintenance. Dr. Hurley will review three parallel efforts in the County for expanding availability of medications for addiction treatment: in general medical and mental health settings; in facilities outside of medical treatment settings, such as the county jail system; and in the specialty addiction treatment sector. Dr. Galanter will review findings on 3,450 residential-based “rehabs” in the U.S. that have no hospital affiliation. Less than half of them have a physician on staff, and only 25% offer buprenorphine treatment. This represents a major deficit in the availability of the principal pharmacologic agent available for treatment of opioid use disorders. In order to address this, ways in which physicians in addiction medicine can engage more actively in consultation and in framing policy in such programs and in related organizations will be reviewed. Additionally, approaches needed to expand on consulting and in assuming administrative roles will be discussed. By drawing on the U.S. National Survey on Drug Use and Health, Dr. Williams will review data on 2.4 million individuals who have an opioid use disorder. Only 21% of them are in treatment, and only a small portion of these are retained on MAT beyond six months, reflecting a long-standing addiction treatment gap. Means of developing clearly defined stages of engagement, MAT initiation, retention, and recovery for such persons will be reviewed. This entails implementing approaches to effectively directing resources, standardizing data collection, and providing primary endpoints of treatment. These will be spelled out in terms of developing quality measures to be applied for generating improvement in patient outcomes. Yngvild Olsen, MD, MPH, currently serves as Medical Director of the Institutes for Behavior Resources Inc/REACH Health Services, a comprehensive outpatient addiction treatment center in Baltimore City. In addition, she provides medical consultation to the Maryland Behavioral Health Administration. She completed her medical training at Harvard Medical School, and internal medicine residency with a year as Primary Care Chief Resident at the Boston Medical Center. She received a Master’s in Public Health from the Johns Hopkins University Bloomberg School of Public Health as part of a fellowship in General Internal Medicine at the Johns Hopkins School of Medicine. She has previously served as Vice President of Clinical Affairs for the Baltimore Substance Abuse Systems, as Deputy Health Officer for the Harford County Health Department, and as Medical Director for the Johns Hopkins Hospital’s outpatient substance use treatment services. Dr. Olsen is the current ASAM Secretary, following a term as Chair of ASAM's Public Policy Committee. Arthur Robin Williams, MD, MBE is an Assistant Professor of Clinical Psychiatry in the Division on Substance Use Disorders, Columbia University Department of Psychiatry and a NIDA funded Research Scientist at the New York State Psychiatric Institute. He completed medical school at the University of Pennsylvania School of Medicine where he also earned a Master in Bioethics. He completed residency training at NYU Bellevue and an addiction psychiatry fellowship at Columbia. His research on improving the nation's response to the opioid overdose epidemic has been published in the New England Journal of Medicine, Health Affairs, and The American Journal on Addictions and presented to SAMHSA's CSAT Council of Directors. Earn 1.5 AMA PRA Category 1 Credit(s)™ while learning how Motivational Interviewing (or MI), has been transformational in medical care since it's release in 2013, from this conference recording from The ASAM 49th Annual Conference (2018). (1.5 CME) In this conference recording from the 2018 Annual Conference, you will learn about Motivational Interviewing (MI). Detailed in Miller and Rollnick’s books (1991, 2002, 2013), MI has been transformational in medical care. Despite being released in 2013, the approach and spirit in the third edition has only very slowly made its way into the repertoire of most clinicians. Indeed, the new four process approach does not utilize even some of the most famous principles and skills from prior iterations. The dimensions of the Spirit of MI have been refined and expanded, consisting of partnership, acceptance, compassion, and evocation. In the conversation toward change, MI utilizes four Processes: engaging, focusing, evoking, and planning. MI concepts are easy to understand, but use requires continual practice and skill refinement. This session seeks to build upon familiar concepts in MI and update those with the latest terminology, understanding, uses, and skills in MI using a combination of didactic and interactive large and small group sessions to practice various aspects of the approach. Natassia Gaznick, MD, PhD, is an NIMH-funded research-track resident in the Department of Psychiatry at the University of California, San Diego. She graduated from Loyola Marymount University where she studied Biology before embarking on a two-year research fellowship at the Mayo Clinic under the NIH-sponsored Postbaccalaureate Research Education Program geared at increasing the number of underrepresented minorities in the sciences. Dr. Gaznick graduated medical school from the University of Iowa Carver College of Medicine NIH-funded Medical Scientist Training Program with an MD and PhD. She obtained a PhD in Neuroscience where she focused on the neurobiology of addiction as well as general impulsivity with special interest in the basal ganglia and insula. During that time she was awarded an NIH-sponsored Research Supplement to Promote Diversity in Health-Related Research. Her academic interests include integration of psychotherapy into the current climate of psychiatric practice, promotion of underrepresented minorities in medicine and the sciences, wellness, physician mental health, and the neurobiology and treatment of addictions. Earn 1.5 AMA PRA Category 1 Credit(s)™ while exploring strategies for improving the ways in which medical schools prepare future physicians to address pain and addiction, from this conference recording from The ASAM 49th Annual Conference (2018). (1.5 CME) In this conference recording from the 2018 Annual Conference, you will learn about the startling statistics: Each day, 90 Americans die of an opioid overdose. In 2016, overdose deaths exceeded 59,000 -- the largest annual increase ever recorded in the United States. Opioids thus have become the leading cause of death among Americans under age 50, and two-thirds of the deaths involve a prescription opioid.  To address this situation, ASAM and other professional organizations and government agencies have produced high-quality guidelines and continuing medical education programs, which can be extremely valuable to physicians whose formal training predated current research into opioids and the disease of addiction. However, there remains a void in addressing the opioid crisis, and that involves the training of future physicians. To assess the situation, the Coalition On Physician Education in Substance Use Disorders (COPE) is surveying osteopathic and allopathic medical schools across the U.S. The COPE survey contains 13 questions, the first 11 of which ask whether certain subjects are part of the curriculum at the respondent's medical school and, if so, how and when those subjects are taught. The survey also inquires about resource needs, recommended resources, and successful strategies for increasing attention to opioid prescribing and opioid use disorder. To date, completed surveys have been submitted by half of the Nation's 170 medical schools. Their responses suggest an urgent need to increase attention to opioid prescribing practices, as well as the identification and management of patients who are at risk for or experiencing opioid use disorders. For example, only 55% of medical schools report that their curricula include instruction in safe and appropriate prescribing of opioids and other drugs with abuse potential. Further, only 26% of schools say their curricula address identification of older adults who are engaged in risky or non-medical use of prescription or illicit opioids and other drugs, while 64% of curricula address similar issues in the care of adolescents and 49% do so with regard to pregnant women. Overcoming these deficits will involve a sustained effort to provide appropriate resources and adequate support to medical school faculty and administrators, and helping them find local addiction experts through ASAM, AAAP and AOAAM. In the collaborative session proposed here, the presenters and audience will explore the nature and extent of the problem and approaches to addressing it. For example, COPE is working with medical school faculty and other experts to identify, compile, and vet teaching resources, such as definitions of core competencies, online courses and webinars, clinical guidelines, and other educational materials. These will be organized in an online resource center that is available to all medical school faculty at no cost. The resource center will be updated by COPE working groups on a continuing basis so that it is responsive to emerging issues and needs. The presenters proposed for this session bring multiple perspectives to the discussion, including expertise in addiction, medical education, faculty development, and delivery of patient care. They will engage audience members in discussing and prioritizing strategies to improve the content of medical education in this vital area. Dr. Hopper attended Medical School at Wayne State University and completed his residency in Combined Internal Medicine and Pediatrics at the University of North Carolina, where he served as Co-Chief Resident in Pediatrics. Dr. Hopper was appointed to the faculty at Wayne State University School of Medicine in 1994 where he served as Associate Program Director for the Med-Peds Residency and Medical Director of the Department of Psychiatry’s Research Division on Substance Abuse. From 2005 to 2008, he was the Chief Medical Officer at Brighton Hospital, the second oldest addiction treatment hospital in the United States. In addition to his many clinical and teaching awards, Dr. Hopper is an author for many textbook chapters, and serves on the Editorial Board of the Journal of Opioid Management. From 2008 to 2015 Dr. Hopper directed the Internal Medicine Residency Program at St. Joseph Mercy Hospital in Ann Arbor, Michigan, where he continues to serve as a clinical faculty member. In 2013 Dr. Hopper started Michigan’s first American Board of Addiction Medicine approved addiction fellowship, which he directed until 2015. 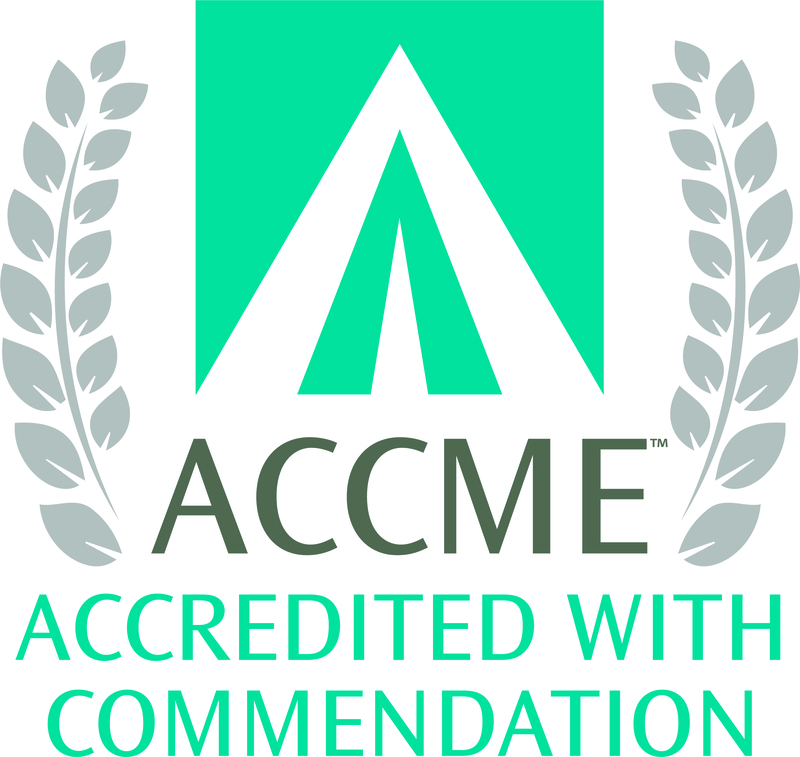 Dr. Hopper currently serves as a Field Reviewer for the Clinical Learning Environment Review Program of the Accreditation Council on Graduate Medical Education." Mark L. Kraus, MD, FASAM is a General Internist at Franklin Medical Group, in Waterbury, Connecticut, Past Vice President and a Board Member of ASAM, a Distinguished Fellow of the ASAM and a Diplomate of the American Board of Addiction Medicine. Dr. Kraus is an Assistant Clinical Professor of Medicine at Yale University School of Medicine, does clinical research in and teaches Addiction Medicine and General Internal Medicine to Yale and St. Mary’s Hospital Primary Care General Internal Medicine Residents. Dr. Kraus has written numerous articles and chapters about Addiction, and has lectured nationally and internationally on the subject. Dr. Kraus was Co-Chairman of the Physician’s Task Force on Education for AMERSA, a member of the steering committee of the Coalition of Physician Education in Substance Use Disorders (COPE), a member of ASAM's Legislative and Finance Committee, Co-Chair of the Patient Advocacy Task Force and Chairman of ASAM's Consensus 42-CFR Action group (AAAP, AOA-AM, AMERSA). He was Co-chair of, and is now, a member of ASAM’s Public Policy Committee. Dr. Kraus has been a member of the Primary Care Physician’s Work Group for NIDA, Chairman of ASAM’s Development Committee for Strategic Planning, the Expert Panel of the White House Office of National Drug Control Policy for the Addiction Medicine Education Summit meetings, the Connecticut Alcohol and Drug Policy Council and the Connecticut Mental Health Policy Council. He serves as a Mentor in the Physician Clinical Support System for Buprenorphine, Methadone and Medical Assisted Treatment for Opiate Dependence. Dr. Kraus is Chairman of the Connecticut State Medical Society’s Addiction Medicine Committee, a founder and past President of ASAM's Connecticut Chapter, former Director of Addiction Medicine at two Hospitals in Waterbury, Connecticut and is currently Chief Medical Officer of Connecticut Counseling Centers, Inc., Danbury, Connecticut." Stephen Wyatt, D.O, is a Board Certified Psychiatrist with added subspecialty certification in Addiction Psychiatry. He currently serves as the Medical Director of Addiction Medicine for Carolinas HealthCare System, CHS. He is a CHS Professor of Psychiatry and an adjunct clinical faculty member of the University of North Carolina. Dr. Wyatt practiced Emergency Medicine in Michigan for 13 years before entering psychiatry training; finishing in an addiction psychiatry clinical research fellowship at the Yale School of Medicine. He is the current Chairman of the NC Psychiatric Asso. Addiction Psychiatry Committee and the Vice Chair of the Coalition on Physician Education in Substance Use Disorders a national organization focused on addiction medicine medical school education. He participated in the writing of the ASAM Clinical Guidelines for Office Based Opioid Treatment and is a Clinical Expert for the SAMHSA funded Provider Clinical Support System for Medication Assisted Treatment. Bonnie B. Wilford, M.S., is Executive Vice President of the Coalition On Physician Education in Substance Use Disorders (COPE), an organization dedicated to improving the education of all medical students by increasing the attention given to substance abuse and related disorders. Mrs. Wilford began her career at the American Medical Association, where she helped to create a number of collaborative programs, including a national Steering Committee on Prescription Drug Abuse, and authored the AMA’s handbook, Drug Abuse: A Guide for the Primary Care Physician, which sold 50,000 copies worldwide. After serving as Director of the AMA’s Department of Substance Abuse for five years, she was promoted to Director of the AMA’s Division of Clinical Science, leading four departments. After a decade at the AMA, Mrs. Wilford joined the White House Office of National Drug Control Policy (ONDCP), for which she completed a study of federally-funded medical education programs on substance use disorders and represented ONDCP to a British Ministry of Health initiativeto improve medical education about addiction in U.K. medical schools. She also has managed HHS contracts that developed CME programs and other resources on the treatment of pain and addiction, including 60 live CME courses at sites around the U.S., as well as online courses and other educational resources, such as SAMHSA’s Opioid Overdose Toolkit. Mrs. Wilford also has served as a section editor of ASAM’s Principles of Addiction Medicine, managing editor of the ASAM Patient Placement Criteria, and content editor of the forthcoming ASAM Handbook on Pain & Addiction. She also is a frequent contributor to medical journals and UpToDate®. Her work has been recognized with numerous awards, including the AMA’s Distinguished Service Award and ASAM's President’s Award for Lifetime Achievement in Addiction Education. Earn 1.5 AMA PRA Category 1 Credit(s)™ while learning about the frequently encountered issues, as well as the substantial evolution in the management of older challenges, as well as the emergence of new issues in the interface between pain and addiction, from this conference recording from The ASAM 49th Annual Conference (2018). (1.5 CME) In this conference recording from the 2018 Annual Conference, you will learn about and focus on four different topics that are emerging at the interface between addiction and pain management as clinically important and challenging. All addiction physicians are confronted by patients with concomitant pain issues, and pain management programs are often ill equipped to assess and treat patients with possible substance use disorders. One area of addiction medicine practice where problems of pain management often emerge is in the patient on medication assisted treatment (MAT) who has chronic or acute/perioperative pain. This workshop will review the principals of pain management in MAT patient populations and then illustrate their applicability through a series of patient management cases. The gabapentinoids have emerged as a highly controversial family of medications over the past few years. Once a mainstay of chronic pain treatment, and even post a cute withdrawal treatment, these medications are being more and more closely scrutinized from and abuse and addition standpoint. The changing use of gabapentinoids will be explored through case presentation and large group discussion. Men and women have many physiologic and sociologic differences (drug metabolism i.e. zolpidem, likelihood of being prescribed controlled drugs, etc). Emerging differences between men and women when it comes to pain, pain management and addictive disease will be explored. The CDC promulgated national guidelines for the use of opioids in chronic non-malignant pain. These guidelines are primarily applicable to patient without substance use disorders. However, the implications of the guidelines for patients with addictive disease and physicians who care for them are great. The application of CDC Guidelines for pain management and opioids will be reviewed through illustrative case discussion. Dr. Ted Parran is a 1978 graduate with honors in History from Kenyon College and a 1982 graduate from Case Western Reserve University School of Medicine. He completed a residency in Internal Medicine at the Baltimore City Hospital of Johns Hopkins University School of Medicine. Following his residency, Dr. Parran was selected to be the Medical Chief Resident. In 1987, he received the Outstanding Faculty Teacher Award from the Department of Medicine. In 1988 he returned to Cleveland and CWRU School of Medicine. Dr. Parran pursues several areas of special interest in medical education including Doctor – Patient Communication, Faculty Development, Continuing Medical Education, and Addiction Medicine. In addition, Dr. Parran is board certified in Internal medicine and Addiction Medicine, and his group practice provides medical directorship services to several Substance Abuse treatment programs in northeast Ohio. He is widely published and has been an invited speaker at national and international conferences for the past two and a half decades. He established the Addiction Fellowship Program at CWRU School of Medicine in 1994, teaches on the Addiction Psychiatry Fellowship faculty and co-directs the current Addiction Medicine Fellowship Program at St. Vincent Charity Hospital. Dr. Parran is the co-director of the Foundations of Clinical Medicine Course, a course with topics which touch on the doctor patient relationship, health disparities, professionalism, cultural competence and health policy. He is the medical director of the Program in Continuing Medical Education, and in 2007 was named as the inaugural Isabel and Carter Wang Professor and Chair in Medical Education, all at CWRU School of Medicine. Earn 1.5 AMA PRA Category 1 Credit(s)™ while learning about Addiction Medicine's highest impact, peer-reviewed journal articles across the field of Addiction Medicine from 2017-2018, from this conference recording from The ASAM 49th Annual Conference (2018). (1.5 CME) In this conference recording from the 2018 Annual Conference, you will learn about, and focus on his focus on the annual review of the highest impact, peer-reviewed articles across the field of Addiction Medicine for 2017-2018. The review is composed of brief journal club presentations of each article, organized under the ASAM Principles of Addiction Medicine textbook chapter headings: neurobiology, epidemiology, pharmacology, intoxication and withdrawal syndromes, screening and diagnosis, mutual help, harm reduction, criminal justice, dual diagnoses, and pharmacologic and behavioral interventions. The goal of this session is to provide the learner with a concise, structured, critical summary of the important recently published scientific papers. All of the core Principles chapters are covered, using the highest rated articles within these topics. Articles are selected by relevance to the topic outline, publication metrics (journal impact factor, most downloaded, Altmetric rankings), and expert opinion. Example articles: Buprenorphine for neonatal abstinence syndrome (Kraft 2017); Opioid prescribing in the ED and long-term use (Barnett 2017); Global prevalence of alcohol use during pregnancy and fetal alcohol syndrome (Popova 2017); Collaborative care for opioid and alcohol use disorders in primary care: the SUMMIT randomized clinical trial (Watkins 2017); Effect of buprenorphine weekly depot (CAM2038) and hydromorphone blockade in individuals with opioid use disorder (Walsh 2017). Joshua D. Lee MD, MSc is an Associate Professor in the Department of Population Health and the Division of General Internal Medicine and Clinical Innovation at the NYU School of Medicine. He directs the NYU Fellowship in Addiction Medicine. His research focuses on medication treatments for addiction among criminal justice and primary care populations. Earn 1.5 AMA PRA Category 1 Credit(s)™ while learning how to implement evidence-based practices in the management of substance use disorders, especially opioid use disorders, from this conference recording from The ASAM 49th Annual Conference (2018). (1.5 CME) In this conference recording from the 2018 Annual Conference, you will learn that providers at general medical settings are well positioned to identify substance misuse and substance use disorders (SUD). However, implementation challenges have interfered with the adoption of evidence-based practices in the management of SUDs, especially opioid use disorders (OUD). The National Institute on Drug Abuse's National Drug Treatment Clinical Trials Network (CTN) has conducted focused and iterative implementation research to explore the capabilities of electronic health records (EHR) for integrating care, leveraging mobile and other technologies, and sought the input of providers/administrators to increase the adoption of SUD care in general healthcare settings. This workshop will provide an overview of current research projects within the NIDA's CTN that seek to explore EHR tools and leverage technology for better integration of substance use screening and treatment in medical settings; and then engage attendees in a lively discussion of the rationale, study design/methodology and preliminary findings of several implementation science initiatives. The first component consists of brief presentations, while the second consists of interactive discussions between workshop facilitators to elicit valuable feedback and experience narratives from the clinician and research experts in the audience, to better inform ongoing and future research in these areas. assess the impact on the management of SUD in multiple health systems. review study objectives of feasibility, usability, and acceptability of the electronic CDS with buprenorphine prescribers. address pertinent confidentiality and privacy regulations that may be encountered in implementation. highlight select research findings leveraging mobile and web-based technologies, including the Therapeutic Education System (TES) intervention in augmenting SUD treatment at specialty care settings and medical settings. Jennifer McNeely, MD, MS is Associate Professor at the NYU School of Medicine in the Department of Population Health and Department of Medicine, Division of General Internal Medicine. Dr. McNeely is a general internist specialized in Addiction Medicine, and currently practices at Bellevue Hospital. Her research focuses on improving the identification and treatment of substance use disorders in medical settings, and includes developing screening tools and studying their implementation in primary care. Dr. Gavin Bart is Director of the Division of Addiction Medicine at Hennepin County Medical Center and Associate Professor of Medicine at the University of Minnesota. He received his MD from the University of Minnesota and trained in internal medicine at the Hennepin County Medical Center. His PhD is in experimental and clinical pharmacology, also from the University of Minnesota. He trained in addiction medicine at The Rockefeller University where he continued as Director of Clinical Research until moving to Minnesota where is is co-PI of the NorthStar Node of the NIDA Clinical Trials Network. His areas of expertise include clinical pharmacology and the pharmacological management of opioid dependence. His current research areas include the population pharmacokinetics of methadone, genetic influences of methadone pharmacology and treatment outcome, electronic health record privacy provisions of 42 CFR Part 2, and clinical decision support tool development for SUD. He is Chair of the Life-Long Learning and Self-Assessment committee for the American Board of Addiction Medicine and is ASAM Region VI (IA, IL, IN, MI, MN, WI) director. Internationally, he is co-director of the SAMHSA-funded Vietnam HIV and Addiction Technology Transfer Center and provides ongoing technical assistance for the Substance Abuse and Mental Health Administration in South East and Central Asia. Lisa A. Marsch, PhD is the Director of the Center for Technology and Behavioral Health (a NIDA-funded P30 Center of Excellence) at Dartmouth College. With funding from NIH, she has led a line of research focused on the development and evaluation of cutting-edge, technology-based (mobile and Internet-delivered) interventions focused on substance abuse treatment among youth and adults, HIV prevention among substance-using youth and adults, substance abuse prevention among children and adolescents, as well as other behavioral health issues. These technology-based therapeutic tools reflect an integration of science-based behavioral interventions with evidence-based informational technologies. This work has been conducted in a variety of settings, including physician offices, substance abuse treatment programs, criminal justice settings, primary care settings, educational settings and via the Internet. Earn 1.5 AMA PRA Category 1 Credit(s)™ while learning the skills that can facilitate the implementation of forgiveness in clinical practice, from this conference recording from The ASAM 49th Annual Conference (2018). (1.5 CME) In this conference recording from the 2018 Annual Conference, you will learn that many see addiction as fundamentally a disease of the brain. Although clearly brain structures and functions are significantly involved in addictions, their impact not only involves the individual but the systems the surrounds those who are addicted. Family, friends, co-workers, and neighborhood, all are impacted by individuals with addictions, as they in return affect the individuals suffering from addiction. Frequently, feelings of anger, shame, guilt, resentment, and rejection, are present in both the patient and those surrounding the patient. Dr. Richard Camino is an associate professor of Psychiatry and Health Behavior and training director of the general psychiatric residency program at the Medical College of Georgia. Previously, Dr. Camino served as clerkship director and Associate Dean for Diversity and Inclusion at Mercer University. After finishing his Bachelor in Pharmaceutical Sciences from the University of Puerto Rico he graduated from the Universidad Central del Caribe School of Medicine in Puerto Rico. He completed his general psychiatry and child fellowship at the University Of Puerto Rico School Of Medicine. Additionally, Dr. Camino obtained a Masters in Arts in Theology from the University of Notre Dame. He holds board certification in general psychiatry, addiction psychiatry, and child and adolescent psychiatry. He has been active in the American Academy of Child and Adolescent Psychiatry, especially with their Religion and Spirituality Committee, where he is co-chair of the committee. Dr. Camino practiced for 17 years in Puerto Rico and was recognized by his peers for 10 consecutive years to the “Doctor Choice Awards” given annually by a Buena Vida Health magazine. As an educator, he has given presentations in Buenos Aires, Medellin, Havana, Caracas, and Santo Domingo. His interests have been in education, cultural psychiatry, religion and spirituality in clinical practice, ADHD in children and adults (where he has done research), and addiction disorders. Eunice Malavé de León is a clinical social worker licensed to practice in several states. She holds a doctorate in education and is co-author in book chapters in several professional publications in family therapy and telemental health. She has extensive experience in cases of child sexual abuse, treating women from domestic violence, reconstituted families and families in underserved populations. Specializes in the management of family dynamics, works with adolescents, adults and the geriatric population.